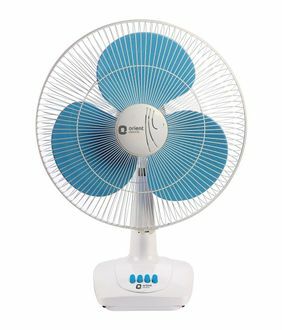 Table Fans are electrical appliances that provide personal air cooling. 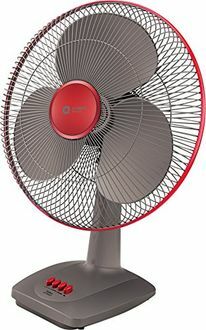 Table fans are of one of the most affordable options when it comes to air cooling devices for the summer. 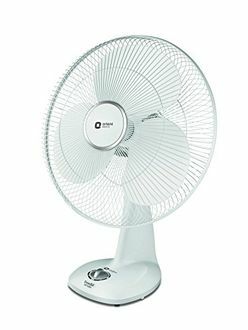 Orient table fans are a popular choice of fans thanks to their superior air circulation abilities and their lightweight plastic exteriors that aid portability. 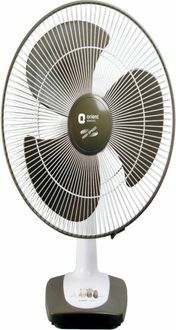 Orient table fans consume small amounts of power and require minimum maintenance work. 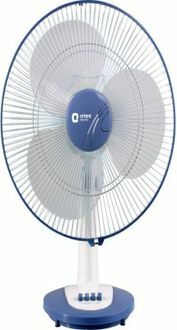 Popular Orient table fans are listed in the Orient table fans price list at the lowest selling price in India. These are obtained from offline and online sellers in major metros in India and are updated on a daily basis. 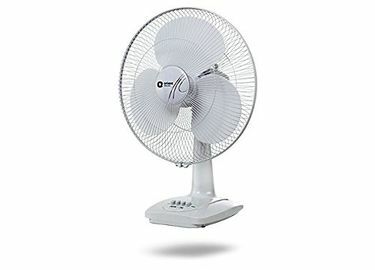 The latest update to table fans price was made on 23rd April 2019. Orient is a consumer electricals manufacturer based in New Delhi, India. 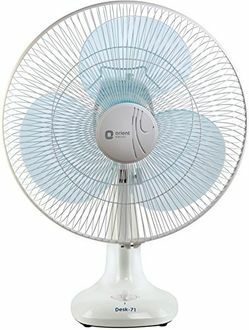 The table fan prices shown in the Orient table fans price list are valid in Mumbai, Kolkata, Pune, Chennai, Delhi, Hyderabad, Bangalore.